As many as 520 persons died in one month in air crashes (July-August 2014). Click here to read special report about these crashes. Updates: Authorities said that 4 injured have been taken to hospital while 48 dead including children on board dead. 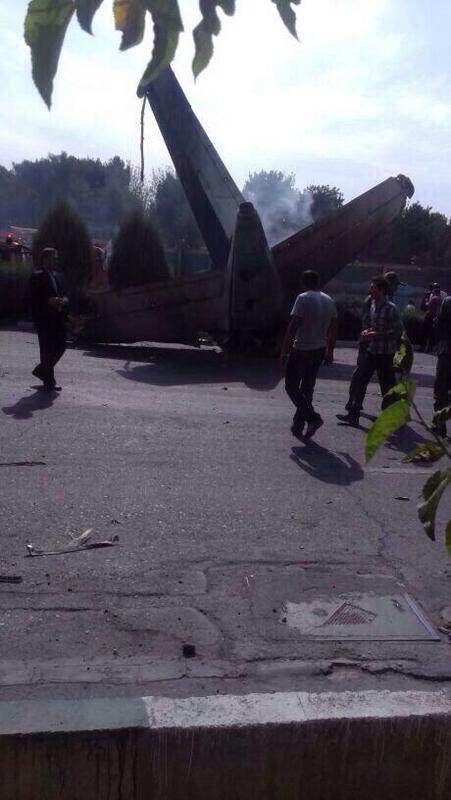 Monitoring Desk, Tehran, Iran: Passenger plane crashed with 48 persons in Tehran. 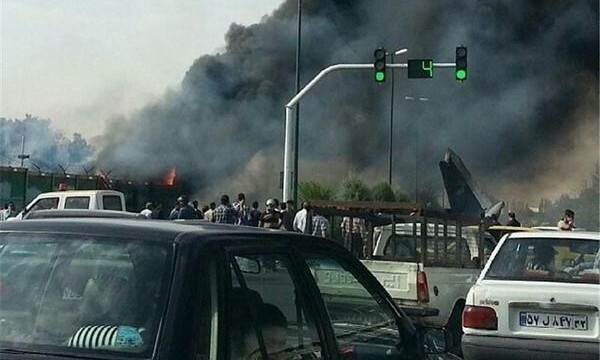 Sepahan Air flight crashed with 40 passengers on board near Mehrabad airport Tehran. 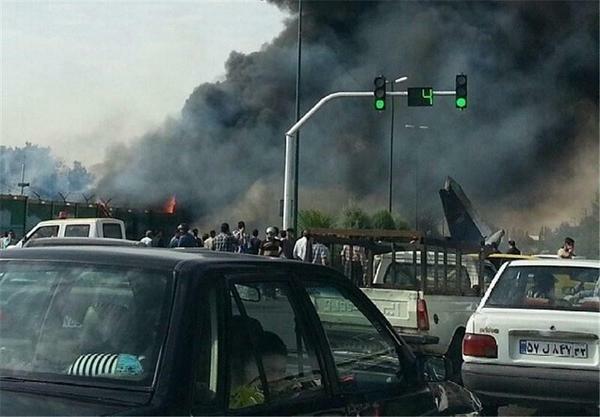 Passenger plane with 40 persons on board crashes near Mehrabad airport Tehran. The plane belonged to Sepahan Airlines and was heading to Tabas from Tehran. It is 140 Sepahan Air airliner flight#HH5915. Flight number HH5915 was a Domestic Scheduled Passenger. A HESA IrAn-140 passenger plane, operated by Sepahan Air, crashed shortly after takeoff from Tehran-Mehrabad Airport (THR), Iran. There were 40 passengers and 8 crew members on board. The airplane broke up and burst into flames. Air craft was not very old as it had its first flight in year 2008. Its Registration number was EP-GPA and it was twin engines Antonov 140: 2 engines of Klimov TV3-117VMA-SBM1. 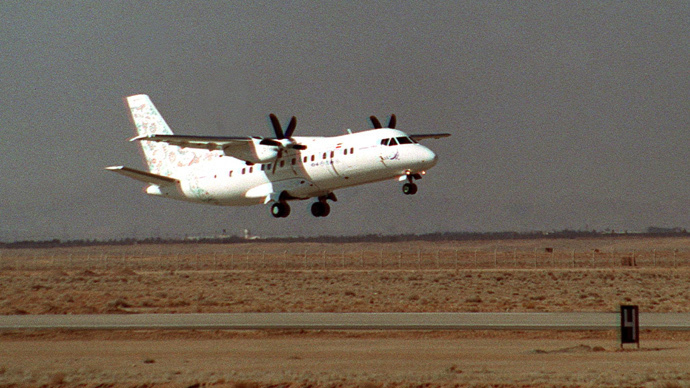 The IrAn-140 is an Antonov 140 turboprop aircraft, built under license by HESA in Iran. Sepahan Air, which is a division of HESA, operated five IrAn-140’s. Eyewitness claim that plane did not crash in residential areas of Azadi township but in an open area in a military zone belonging to the Iranian Defense Industries 6km (4 miles) to the East of the airport. 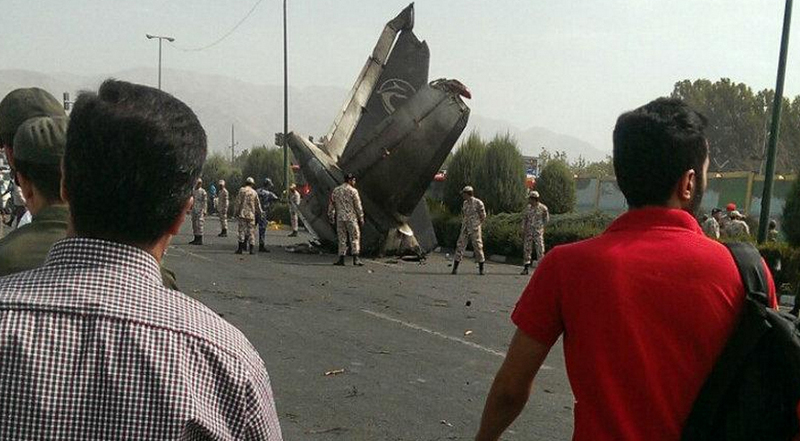 This is a second accident of its kind when Antonov 140 crashed during or just after takeoff in Iran. On 15 February 2006, an IrAn-140-100 (test registration HESA 90-04) crashed at Shahin Shahr, Isfahan Province, Iran, during a training flight. All 5 pilots on board were killed. The cause was an engine failure during takeoff, which appeared to haven been due to technical problems with the fuel control unit. Managing-Director of Iran’s Airport Company Mohammad Ilkhani confirmed that flight was carrying 40 passengers and 8 crew. Ilkhani confirmed that the pilot was about to take off at the end of the runway when he lost his starboard engine and crashed the plane seconds after take-off. 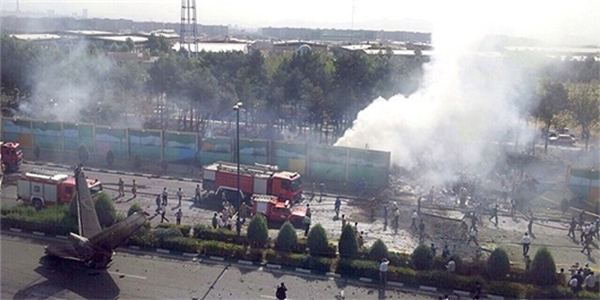 Flame could be seen from main road near crash spot in Tehran city. Plane crashed just after take off. Local authorities fear that all persons on board are dead. More information coming stay with us. According to Iranian media, the plane was 140 Sepahan Air jetliner that crashed almost within the premises of airport just after take off. Rescue teams have started operation and 10 of the dead passengers have already been extracted from the debris. why should we care who was on it that we should care?? ?